I personally have been using Sport Suds on my performance clothes for the past six months. Gone are the annoying deodorant fragrance odors from underarms, the lingering sweat scents after washings and my clothes wick sweat as if they were brand new! I always wash them on cold water, delicate cycle & hang to dry. I purchased mine on Amazon. I have been so impressed with how my clothes are free from those unpleasant odors that I had to write this review so hopefully others can too enjoy their performance clothes again. If you’ve tried it, let me know what you think too! 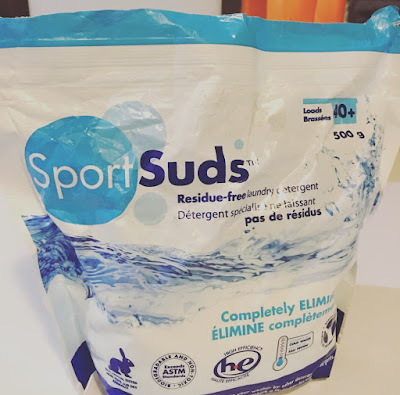 This review is conducted with my personally purchased Sport Suds product and I was not asked to write a review and I was not compensated for it.